Barry Lopez came to Rochester this week to receive “The Art of Fact” award for literary nonfiction presented by The College at Brockport Writers Forum and M&T Bank. Lopez is one of the very best nature writers, and if you love animals and wildlife, you’ll love his nonfiction books, essays, and short stories. He has travelled to 90 countries and has a tremendous respect for the animal world and the many indigenous peoples he’s come to know. Lopez came to Rochester to receive his award and to deliver to us the poem “I, Snow Leopard” by Jidi Majia. I wasn’t familiar with either the poet or the poem, but Lopez said that when he found out “I, Snow Leopard” had been published in Asia and Europe, but not in the United States, he had to set things right. He felt that it was vitally important that the American people hear the words of the snow leopard in this poem. So he saw to its publication here, and wrote the foreword to the English edition. Jidi Majia, a member of the indigenous Nuosu (Yi) people who live in the mountains of southwestern China, has won numerous literary awards. As far as I could tell from what I found online, few of his poems have been translated into English. Majia’s poem is written in the words of a snow leopard, which is viewed by the Nuosu as a wisdom keeper, a being with “biological authority,” according to Lopez. He told us that when he first began traveling the world and exploring, in his thirties, he viewed wild animals in an amateur, superficial, childlike way, until he learned to embrace the much more refined view held by native peoples. A poem is a door anyone can walk through, Lopez said, and this poem is the mysterious and elusive snow leopard’s expression of grief and a warning to human kind: “Do not hunt me any longer.” Human violence toward animals puts everyone in peril, animals and humanity alike. 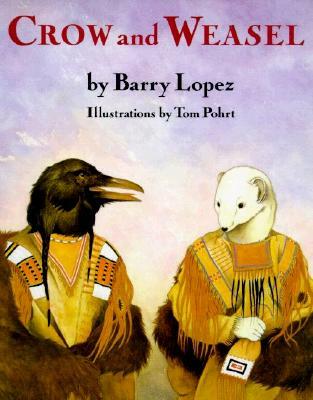 Before Lopez began, he said he wasn’t worthy to read “I, Snow Leopard,” but he’d try. He said that, as far as he knew, we’d be the very first American audience to hear the poem. We listened to this exclusive reading in the soaring space that is the chapel in Rochester’s Temple B’rith Kodesh. “I, Snow Leopard” is beautiful, haunting, simply expressed and accessible even to listeners not accustomed to hearing poetry. “I, Snow Leopard” is available on Amazon. Barry Lopez told me it is also to be published in a future issue of Orion Magazine. 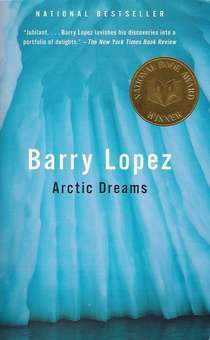 If you’d like to read Barry Lopez, Arctic Dreams, his nonfiction work about the Far North that won the National Book Award, is a great book to start with. I haven’t yet read Of Wolves and Men, but when I saw the mesmerizing cover photo of a wolf on display at the reading, I added it to my to-read list. Lopez writes fiction, too. I especially liked his subversive collection of short stories, Resistance, which he wrote shortly after 9/11, about surveillance and “parties of interest” to the government. If you want to know more about the fascinating snow leopard, Peter Matthiessen’s memoir, The Snow Leopard, is a great read. The Secret Life of Walter Mitty, with Ben Stiller and Sean Penn, is one of my favorite movies. Watch it. You might spot a snow leopard. 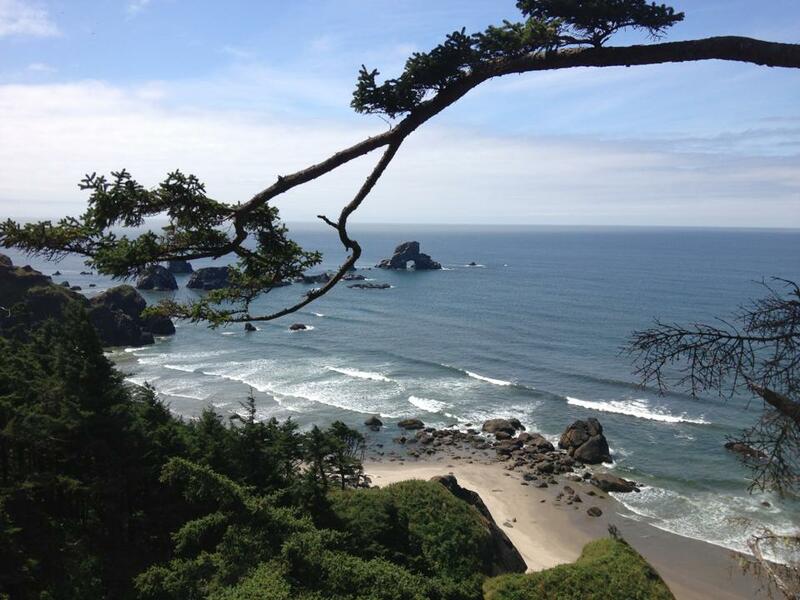 One of my favorite columnists, Nicholas Kristof, wrote recently that Cheryl Strayed’s memoir, Wild, has inspired “hordes of young women” to hike the Pacific Crest Trail. Wild was one of the first books I wrote about on Books Can Save a Life. Strayed’s memoir has turned out to be not just a bestseller, but a transformational story that has given many women the courage to take enormous risks. 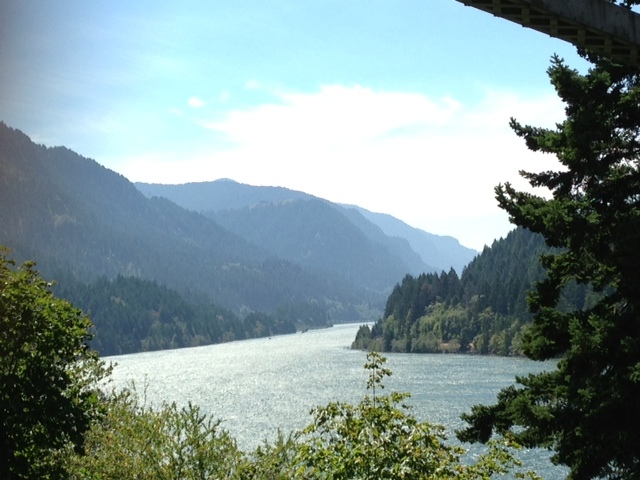 Cheryl Strayed’s Wild has that kind of magic. This summer Heather Anderson broke a record by backpacking the length of the Pacific Coast Trail, alone and without support, in 61 days. It’s good to see women taking risks and feeling more at home in the world. Lopez quote: “Landscape and Narrative” in Crossing Open Ground by Barry Lopez, Vintage Books, 1989. She must read, and her choices should be whatever she is drawn to. She should read the classics, too, but she’ll have to work harder to find stories of heroism, love, and our noblest values that are written by women. Third, he advised that she “separate herself from the familiar.” After exploring other places and meeting a diversity of people, she`ll know why she loves the familiar and share this knowledge through her writing. Early on, Lopez felt he was noticed, accepted, and rewarded as a writer in part because he was white, male, privileged and well educated. If you read his work, you’ll find he is keenly sensitive to the fact that many voices haven’t been heard because they are different or not within traditional circles of power. He thrives on traveling to the far corners of the earth and seeking these people out – artists, artisans, farmers, naturalists, explorers who live close to the land, indigenous peoples, and others. I was mesmerized by an essay in About This Life, “Effleurage: The Stroke of Fire.” An Oregon potter and builder of a unique anagama kiln invites clay artists from around the world to fire their work. Jack doesn’t care about marketing or commercial success; he’s totally immersed in the process of making pottery out of materials from nature. Every three or four months, up to twenty artists bring their work to be fired in the Dragon Kiln. Families, friends, even pets tag along. The firing goes around the clock for several days. Building the tremendous fire that heats the kiln is an art in and of itself. Different kinds of wood – black locust, maple, cherry, Lombardy poplar, red cedar – make different kinds of fires, and keeping the fire properly stoked is a community effort of like-minded artists who put aside their egos for the benefit of the group. Lopez says you must become someone to write. I think he would agree the kiln designer and the clay artists are “becoming” through their life’s work, just as their clay pieces are forged in the fire. It’s a process that never ends. Even the clay pot continues to change, subtly, after the firing. Over and over, Lopez celebrates journeys into the unknown, strangers who become friends, coming home again, and the writing of the story. You see this in About This Life and in his fable, Crow and Weasel. Recently, Lopez published a revelatory personal essay that has received a lot of attention, “Sliver of Sky,” in Harper’s Magazine, about a period of sexual abuse he endured as a child. That Lopez waited until his seventies to write about this suggests how deeply confounding and wounding it was. The trauma and years of silence may explain in part Lopez’s empathy and compassion for others who were silenced for one reason or another. And no doubt it has contributed to his sense of mission as a writer. I’ve written about years of being silent and feeling silenced by others because of my mother’s mental illness. I think that is partly why I didn’t make the commitment to becoming a writer when I was younger. How can you mature as a human being and as a writer when you can’t work with the very material that is woven into your identity? If we’re silenced, we’re blocked. We don’t become our fullest selves. Diminished in what we are able to offer the world, the world will be diminished, too. It is in our bests interests to see that no one among us is silenced. So I find reading Lopez to be a rare and important form of encouragement. In an interview with Bill Moyers, Lopez says he’s viewed as a nature writer but, actually, he is writing about humanity. Quotes from: About This Life: Journeys on the Threshold of Memory, Barry Lopez, Vintage Books, New York: 1998. When I began this blog I chose for my tagline a quote by Barry Lopez about stories because it rang true for me. But I’d never actually read any of Lopez’s books. So I began with Arctic Dreams, followed by About This Life: Journeys on the Threshold of Memory. If you want to be an armchair traveler of the world, if you love nature, if you crave being transported to another time and place by extraordinary writing, you must read Barry Lopez. Arctic Dreams has some of the most dazzling and poetic passages about the natural world you’ll ever encounter. If you want to write, how can you move closer to this kind of mastery of language? When I was reading Lopez, I happened to make a happy discovery in my writing bible, Priscilla Long’s The Writer’s Portable Mentor: Lexicon Practice. Lexicon Practice involves looking up words you don`t know and words you want to know better, not in in a pocket dictionary or online, but in a mammoth 600,000-word dictionary, the kind you still see in some libraries. (Long advises writers to search online for such a dictionary, commonly published in the 1930s, 40s, and 50s. They aren’t cheap, but they are a wise investment.) You copy all of the definitions of a word in a notebook. 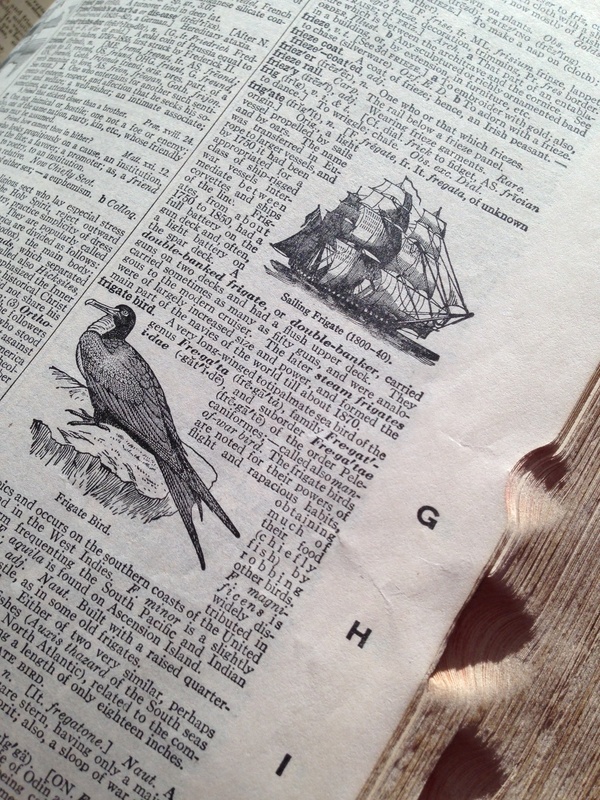 These old dictionaries have detailed diagrams and illustrations, and occasionally I copy them as well. I write down the word in its language of origin, too. If it has a Latin, Italian or Spanish root, I can brush up on my foreign language vocabulary. Long instructs you to also write out the sentence where you found the word and make up a sentence of your own, preferably a sentence you can use in a piece of writing you’re working on. You can choose a lexicon theme based on the work you are doing at the moment. Since I’m writing a memoir, for example, I have a lexicon with words commonly used in the 1960s – products, types of clothing, etc. Now, Lexicon Practice is a geeky, writerly thing, but it appeals to me. I can certainly stand to expand my vocabulary, and I find it an especially relaxing pastime in front of a fire on a cold winter`s night. This kind of practice slows you down, teaches you to choose words with care. If you want to write rich, compelling fiction or nonfiction, you need to be in love with words in this way, or allow yourself to fall in love with them by doing work of this nature. Long advises writers to compose word lists, too. Her examples: every possible synonym for blue (sapphire, smalt, cobalt, woad) and all the parts of a fiddle (peg box, side rib, bridge, button). You can work according to a theme. Chairs and chair parts. Types of roofs. Clothes for people who love the outdoors. Get an L.L. Bean catalog and find words like cargo pants, fleece, sun-washed, twill, seersucker, Mary Janes, wellies. I found that keeping a lexicon is a good excuse to buy one of those expensive, fancy journals I love. Mine has a silvered filigree cover designed in Germany around 1800. Currently, I’m gathering words from About This Life. In my next post, more about Lopez and his themes. In the meantime, if you want to be uplifted, if you need encouragement in your life’s work, listen to a few minutes of this conversation between Barry Lopez and Bill Moyers. Have you discovered any unusual words lately that you especially like? Leave them in the comments in my left sidebar. On Writing: Statements of Purpose at http://www.barrylopez.com. Arctic Dreams, Barry Lopez, Vintage Books, New York: 1986. The Writer’s Portable Mentor, Priscilla Long, Wallingford Press, Seattle: 2010. He is a master photographer, an obsessed and possessed artist documenting our dying glaciers. We sat with a packed audience Tuesday evening at The Little Theatre in Rochester watching Chasing Ice, a documentary about James Balog’s quest, which has become the quest of many others. After the movie, producer/director Jeff Orlowski (thoughtful, intelligent, thoroughly engaging) spoke with the audience via Skype. Your first stop should be here, to listen to and watch this perfect marriage of music, image and theme: Scarlett Johansson singing “Before My Time” to a montage of Balog’s magnificent work. Chasing Ice is playing in selected cities around the country. You can request to host a screening by filling out a form on the Chasing Ice site. Let’s hope that it will be available on Netflix and other venues soon. While you’re waiting for the documentary, visit the Extreme Ice Survey (art meets science) to see the official trailer, and then stop by the Earth Vision Trust. 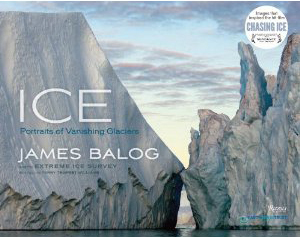 Balog has just published Ice: Portraits of Vanishing Glaciers. His other books include Tree: A New Vision of the American Forest; Wildlife Requiem; Anima; and Survivors: A New Vision of Endangered Wildlife. The filmmakers dedicated Chasing Ice to their children and their children’s children. So stop by for a listen and a look. It’s the next best thing to seeing the movie. At the moment I’m interested in nature, art, memoir, and fiction all rolled into one, so I’ll be featuring Barry Lopez (Arctic Dreams, Winter Count, About This Life, and “Sliver of Sky,” a recently published essay in Harper’s Magazine); The Voyage of the Narwhal by Andrea Barrett; and When Women Were Birds, by Terry Tempest Williams.